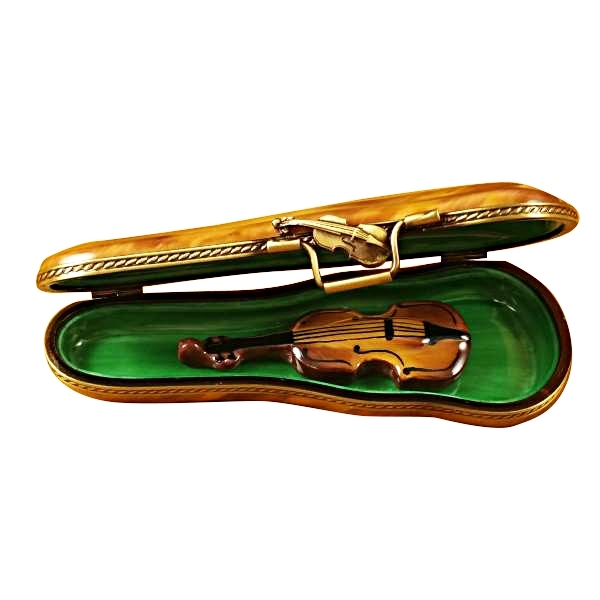 VIOLIN IN BROWN CASE - Limoges Boxes and Figurines - Limoges Factory Co. 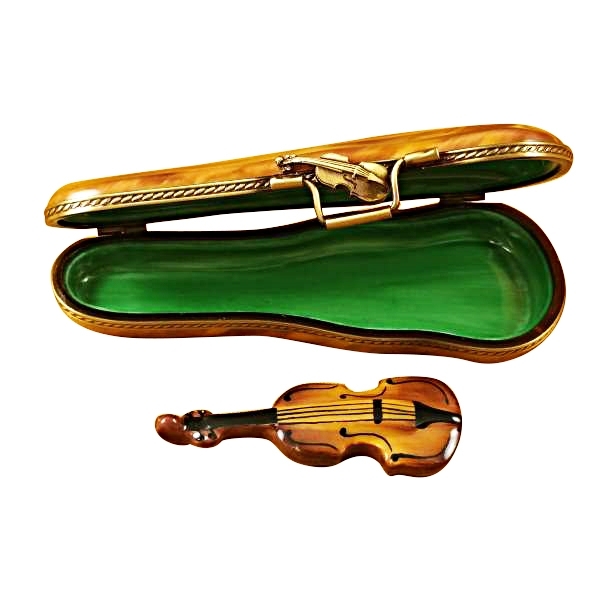 This Limoges box is shaped like a violin case. 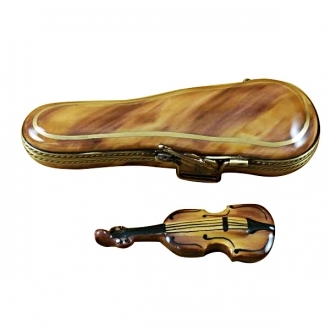 The case is skillfully painted to give the appearance of a leather cover. 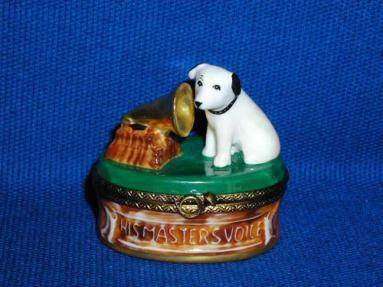 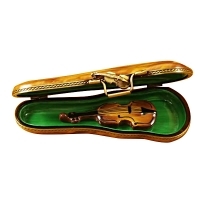 The box has a convenient handle and the rims are ornamental and fitted with a violin shaped clasp. 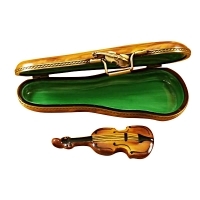 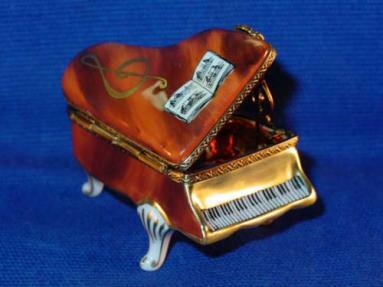 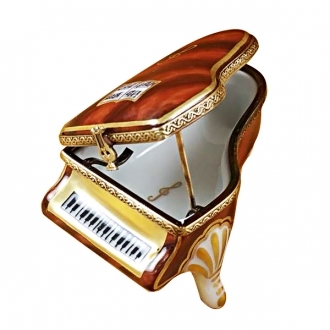 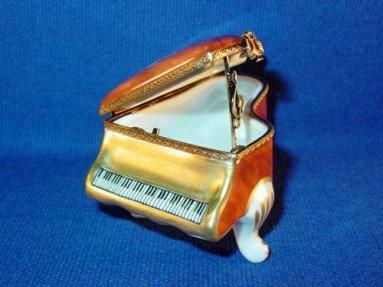 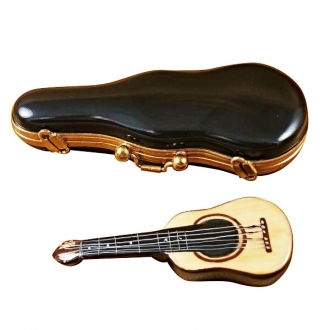 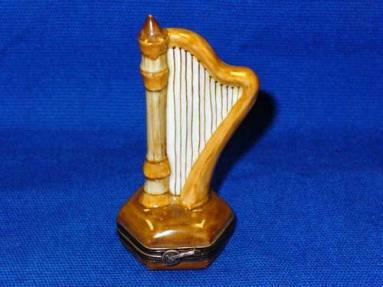 A small porcelain violin is packed inside the box. 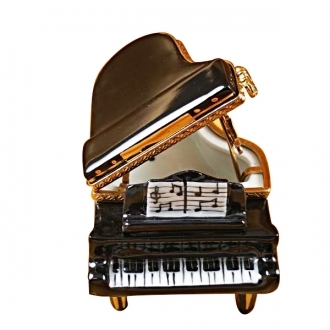 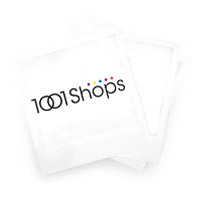 This is a nice collectible and so, a great gift item. 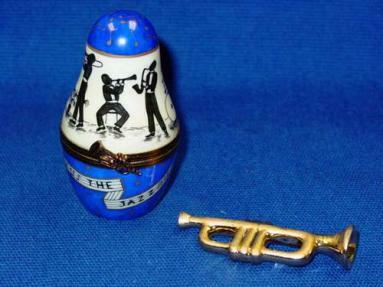 Measurements: 4" х 1,5" х 1"